The BJP’s loose cannon Subramanian Swamy has launched a scathing attack on RBI governor Raghuram Rajan, accusing him of tight money policies that have ruined Indian industry, saddled the banks with bad debts, and slowed economic growth. Many industrialists also blame their weak corporate results on Rajan, saying he has kept interest rates too high and the rupee too strong. Several prominent economists have voiced similar criticisms. I don’t know if the government will woo Rajan to stay on for a second term. I don’t know if Rajan himself wants to stay on, given the resistance and criticism he has faced from many in the finance ministry and the ruling party. But one thing I do know. If Rajan is asked to leave, India will suffer a mass exodus of foreign portfolio investment. Tens of billions of dollars will flow out, maybe as much as 100 billion (if this coincides with some other bad news like a further Chinese slowdown or British exit from the European Union). The stock markets will crash and the currency markets will panic. India will be bruised severely. 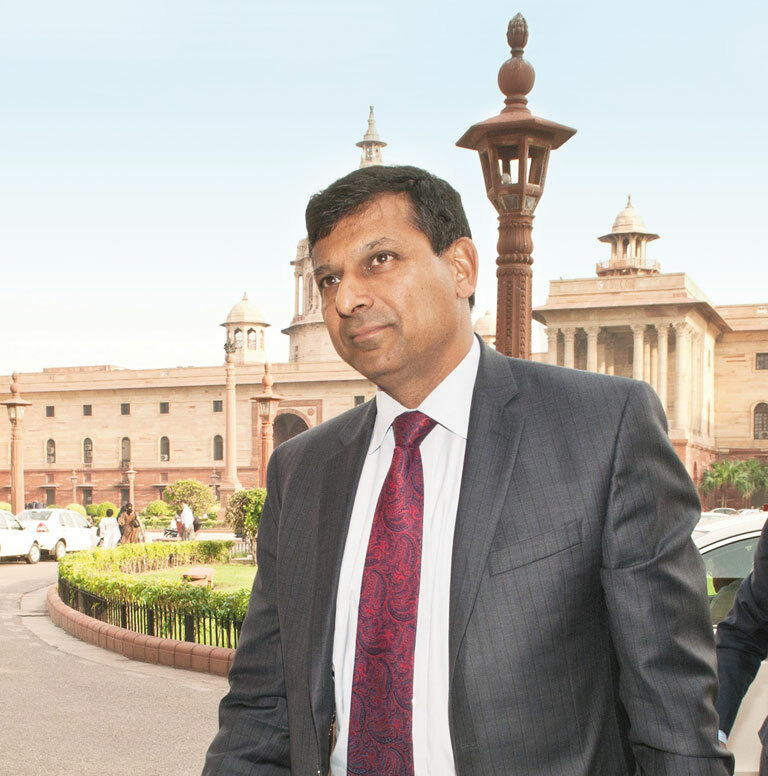 Those wanting Rajan’s exit need to understand the consequences of what they wish for. Like it or not, Rajan has far more credibility with global investors than his critics. He is universally praised for stabilizing the Indian economy when it was roiled by the “taper tantrum”of August-September 2013. He gets high marks from international investment banks and rating agencies for being a tough, independent RBI governor who will not allow political or finance ministry pressures to deter him from using monetary policy to curb inflation, even if that has some adverse consequences for growth. Inflation has fallen substantially in his three years in office, to global applause. But this owes a lot to good luck: the prices of oil and other commodities have crashed. Rajan has switched the RBI’s monetary policy target from the wholesale price index to the consumer price index, in keeping with global practice. But for three years consumer prices have been relatively high, while wholesale price inflation has been very low, and sometimes negative. Businessmen say they face very high real interest rates that kill profits, discourage investment, subdue consumer confidence and make exports uncompetitive. Under Rajan, the real effective exchange rate has appreciated by 10 to 20% depending on which currency basket you use as a benchmark. Exporters blame an over-strong rupee for the fall in exports for 17 months in a row. Rajan’s relatively high interest rates encourage dollar inflows into Indian debt markets, making the rupee stronger than it would otherwise be. Rajan has defended his policies politely but firmly. India is currently the fastest-growing major economy in the world, projected by the IMF to grow 7.5% in 2016. So, claims that Rajan is killing economic growth are plain wrong, even if GDP gets revised downward a bit. Investment is not booming, but foreign direct investment is up substantially. Poor corporate results flow mainly from low producer prices, Chinese dumping and falling exports in a slowing global economy (the exports of most of India’s competitors are falling too). The current account deficit, which was almost 5% of GDP when Rajan took over, is down to a very reasonable 1.5%. Had the rupee been over-strong, as critics claim, the current account deficit should have widened sharply, and that is not the case. Yes, exports have fallen, but so have imports, mainly because of lower prices. India’s currency has depreciated from Rs 58.50 to the dollar in May 2014 to Rs 67.50 today. Clearly Rajan is not anti-depreciation — he has allowed the rupee to drift down at a market-dictated pace. He says, rightly, that being more aggressive, and inviting a currency war with neighbours will be a race to the bottom. I personally think Rajan could have cut interest rates and depreciated the rupee faster. But these are quibbles, not quarrels. The sombre global scene is the main cause for worry, not RBI tight-fistedness. Ultra-low interest rates in the West have caused an excess flow of maybe one trillion dollars into emerging markets in the last five years. That flow could be reversed by any adverse developments, with horrendous consequences. In these circumstances, India needs an RBI governor whom the global markets truly trust and respect. Rajan alone fits that description. If he exits, so will tens of billions of dollars.